The IN32 card has thirty-two inputs, each on a 3-pin header. The other two pins on the 3-pin header are tied to ground and to a screw terminal All input are 5 Volt tolerent and space is provided to attach pull-up or pull-down resistor packs. The schematic and layout of the IO8 are shown below. 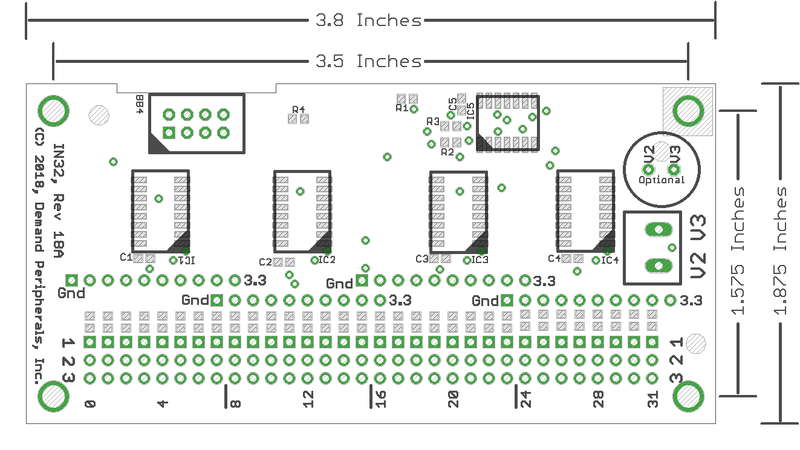 The Eagle schematic and board files are available here: in32.sch and in32.brd. The bill-of-materials is available here: in32.txt.